We are delighted to now have a Pilates class in Paignton Community and Sports Academy, Waterleat Road near the zoo. AND our clients are always very happy when they can finally touch their toes! If our Pilates class Paignton isn’t near to you, check out our other Torbay group beginner classes in Torquay. At our Pilates classes in Paignton, we have plenty of FREE parking. 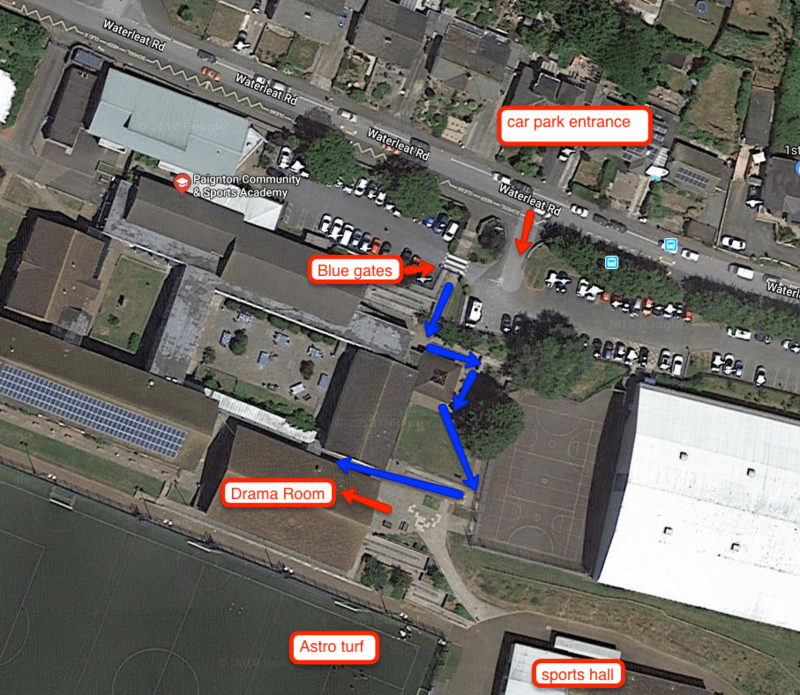 The car park is right next to our entrance! No long walk from your car – as we want you to do your fitness workout with us. Dance your way through a spine healthy exercise routine in our Pilates beginner class. We currently only have one class on a Thursday at 6:45pm at Paignton Community and Sports Academy. If you would like to join us for a FREE taster class then CONTACT US to get you all booked in, alternatively, you can book straight away below. £26pm for 4 classes per month. £32 for 4 classes in 6 weeks. claim for your FREE Pilates class Today!